The best trip that I took was taking a plane from Edmonton and landing in Victoria on Vancouver Island for five days in July 2013. When I got off the plane I had a rental car and that was it. There was zero planning, I had no goals, no destinations, and no reservations. In that time I put 1,200km on a Ford Focus zipping around the lower part of Vancouver Island. During that time I went to Campbell River, Tofino, Ucluelet, Nanaimo, took the ferry to Saltspring Island, and Victoria. I stayed in inexpensive motels and ate halibut right off the fishing boat in Ucluelet and walked part of the Wild Pacific Trail. I walked all over Tofino. I walked through downtown Victoria and explored Chinatown. My one regret was not contacting the person who had the cabin for rent for the night in Youbou for $28.00 per night. I would visit Ucluelet again just to spend more time there. I preferred it over Tofino. Tofino has some unreal beaches that are worth seeing. I would always go back to Victoria. I am not sure about Saltspring Island, I think if I ever get back I would try to see Saturna, Pender, and Gabriola Islands. If I ever did it again it would be by motorcycle and I would make sure I got to Youbou and Port Renfrew. The point of this is that if you have the chance try something totally different. You might have a hell of a time. I have thoughts of doing this same thing in Nova Scotia sometime. May you all have a great 2016. The following information is taken from Doug Barnett's Early Surveys and Settlements in Central Alberta. 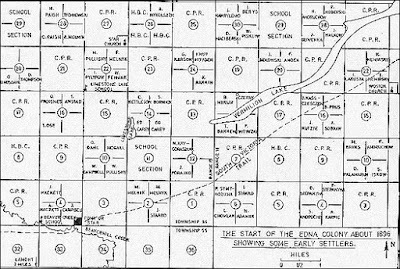 "The Dominion Land Survey System first established controlling lines on which to base the township surveys. It was decided to layout the System on an astronomic basis, that is "square with the world", with north-south and east-west lines following lines of latitude and longitude on the earth's surface. Starting near Winnipeg, Dominion Land Surveyors established six meridians over a period of time. A meridian is an astronomic north-south line on the earth's surface. The Principal Meridian was followed by successive Initial Meridians (the Second, Third, Fourth, Fifth, and Sixth), each about four degrees of longitude apart. The Fourth Initial Meridian later became the Alberta - Saskatchewan boundary, and the Western Provinces were extended northward from the 49th parallel (international boundary) to the 60th parallel, a distance of about 760 miles. As meridians follow the spherical curve of the earth, they converge as they are produced northward, therefore not parallel. For example, the distance between the Fourth and Fifth Meridians along the 49th parallel is about 182 miles (293 kilometres); at the 60th parallel, the distance between the same two Initial meridians is reduced to about 139 miles (224 kilometres) due to convergence of the meridians. Land between the Initial Meridians was then subdivided into townships. A township is a square tract of land about six miles (9.7 kilometres) on a side, containing thirty-six sections (Figure to left.). Townships are numbered northward, starting from township one at the 49th parallel and increasing to township 126 at the 60th parallel (the north boundary of British Columbia, Alberta, Saskatchewan, and Manitoba). A column of townships in the north-south direction is called a range. Townships lie in ranges numbered westward from each Initial Meridian, starting with range one adjoining the west side of each such meridian. There are thirty ranges between the Fourth and Fifth meridians along the 49th parallel, but due to convergence of the meridians, this reduces to only about twenty-three ranges along the north boundary of Alberta. Townships are laid off their prescribed width along base lines running between the Initial Meridians. A base line is a line approximating a latitude circle from which townships are projected north and south to the correction lines (to be defined later). Base lines are four townships apart. The international boundary is the first base line; the second base line lies between townships four and five; the third base line between townships eight and nine; and so on northerly in regular order. Township surveys subdivided the Crown land into parcels which could be sold for settlement, development and other public purposes. 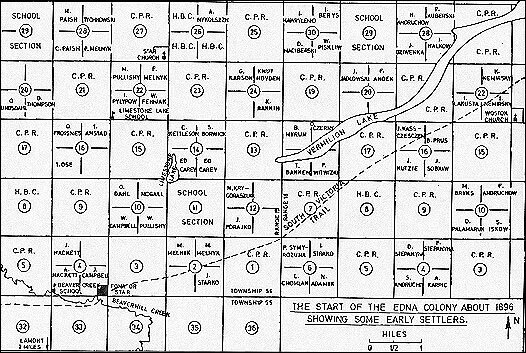 Sections are sometimes broken down into smaller units called legal subdivisions of 40 acres each; each section contains 16 legal subdivisions as shown in figure above to the right." 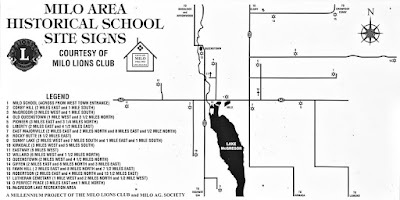 I posted this because when you are looking up stuff in older sources you frequently have places referred to something like this: NE 28-55-4-W4, which should translate to the NE Section 28 Township 55 Range 4 west of the 4th Meridian. There is an online book of old schoolhouses and it refers to them by legal land description. I did not grow up with this system, I grew up in British Columbia which has a different system so this provides a bit of a challenge for me when tracking stuff down. If you are a farmer or work in oil and gas this is stuff is second nature. The survey is also kind of why you find old schools and churches in the middle of nowhere. Land was set aside for schools and sometimes it was donated by homesteaders for schools and churches. Land titles in Alberta are a mix of Imperial and Metric and sometimes some odd measurements and terms. Foggy prairie day. Even after multiple encounters I remain surprised how foggy it can get here. Most windmills I see have suffered some wind damage. This one is no exception. It looks a little lonely. During the last few days I posted a photo to a forum and referred to it with the line "Sometimes the fenceposts do wear marshmallow hats". I thought people would get the reference to the poem which I for some reason thought was by Robert Frost. No one seemed to know what I was talking about. I remember reading this poem in school in the elementary grades and I thought everyone knew it or was familiar with it. The poem is actually by Dorothy Aldis and the winter imagery is something that has stuck with me ever since. I did a quick bit of research and found two versions of the poem. And want to dance away. Are kneeling down to pray. The description for a lot of winter scenes is apt and fenceposts with winter headgear is just one of those things I look for when I am out and about at this time of year. Christmas is over. For me I spent Christmas Eve and Christmas Day with a friend at his place off in the woods. I found out about a week before that due to various reasons he was going to be alone for that time so I asked if he wanted company. We spent the time catching up, solving a few problems without creating any new ones, and having a few drinks. 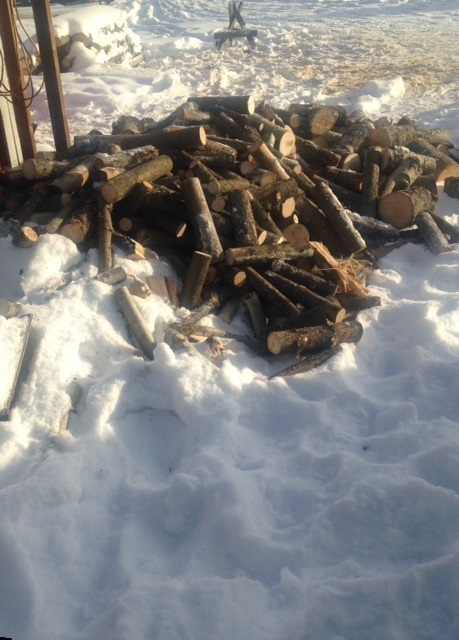 Before I left I got drafted into helping him cut up a bunch of firewood. There are worse ways to spend the holidays. I have been in the countryside for the last few days without Internet. It has been nice. When you move to a new place and a new job it takes time to meet people and make some connections. Even if you have been hired to do the same thing you have been doing for years it takes time to learn the quirks and habits of the company, your position, and their clientele. Everybody does everything slightly different than the other guy. People at your new place have been doing something a certain way for years and may forget to tell you how certain things are done or how certain things work just because they assume you know. It might never occur to them that you may not be totally familiar with their habits. I have found it takes time to adapt and not to rush things. Procedures and routines may not make sense to you but it works for them. That is why they do the things they do. I am a bit of an introvert and I am not one of those types that can enter an unfamiliar place and instantly work a room. I admire those guys and I wish I was one of them. I am missing that trait. One of the things I like about doing this site is that I have got some to meet some people in unexpected ways and made some interesting connections. Along the way I have learned a few things as well. It takes time for people to be aware of your presence and things take time to build and progress. You also have to take the initiative and step out of your comfort zone. A few days ago I really was not looking forward to the new year. Now I am more positive about it. Sometimes it just takes time. An attempt at art. I actually laid down in the snow for this as I thought it would give it a better perspective. Every farmhouse at one time had one of these. If you look you will see these sometimes out in a field where a house once stood. There may or may not be a missed post or two before the end of the year. I am trying to sort out a few things, nothing serious, just gaining some perspective on the upcoming year. What are you doing reading this on Christmas Day? Go spend some time with your friends and family. My former in-laws had a tradition on Christmas Eve. We would attend Midnight Mass at the Catholic Church at midnight. You would get out of church sometime after one in the morning on Christmas Day. You would then go straight home where the family would open presents and have a meal. Once you were done this it would be about four in the morning. Then you would go to bed and get up again later in the morning, usually about nine or ten, to start the regular Christmas routine. My own family when I was growing up never really had any traditions. We went to bed on Christmas Eve, never attended church, and got up when we felt like it on Christmas Day. I did not mind attending church. A well executed sermon can really remind you what the season is all about. What I could never get used to is what came immediately after. I do not do well with a lack of sleep and having my sleep disrupted. If I do not get enough sleep I am a wreck the next day and it takes me a day or two to get back in sync with things. I do not miss the tradition, it always seemed to be an endurance test and I never enjoyed being overly tired on Christmas Day or Boxing Day. Everything always seemed to be so rushed. That being said, I do wish all of you, no matter your traditions or how you celebrate, a Merry Christmas. A recent friend of mine asked if I wanted to join him to explore some of the rural countryside. While driving with no real purpose I remembered Mayton, Alberta. I had never been there and I knew there once was a town there years ago with a general store, creamery, and blacksmith shop. Now nothing remains, not a trace except for the cemetery. This is not too far from where I live, about an hour drive. It is just north off Highway 27 near Torrington, Alberta. This is a lonely spot with no hint of where a town once stood. The cemetery is still being used. This person had quite the life. I was surprised that there was no cenotaph marking the sacrifice of veterans. They are a usually common feature in cemeteries. I saw this and immediately liked it. I wonder how long it will last. It is a nice spot. Without directions we might have never found it. It is off on a few rural gravel roads. The place looks peaceful in winter. Out in the Milo, Alberta area December 12, 2015 looking for stuff that I might have missed on a prior trip. I found myself at Liberty School, a place that I posted before. This winter it looks a little more rundown than last summer. The back of the school was completely open. I took a few steps into the basement and immediately scared a flock of pigeons out of hiding. The building looked solid enough but it was too dark to take a further look via the basement. It has not been used for years. Now it is providing a home for the birds. I was over near Milo, Alberta on December 19, 2015. The highway approached a hill and I turned off a side road because this old tractor caught my eye. It was sitting at the top of a small hill. Literally around the corner I saw this. It definitely looks to be a memorial. At this time of year you could almost think it may have something to do with Christmas. It felt kind of moving looking at it. I managed to get both scenes together. To me it all seems to belong together. I am really curious what the story is behind this . . . I happened by on November 21, 2015. This part of Alberta has churches of different denominations scattered all over. It seems this one may no longer be used on a regular basis. There are more nearby. The CAA/AMA (Canadian Automobile Association/Alberta Motor Association) used to have markers all over pointing to various spots. I do not know if they still do this. Driving along these roads there are lots of them pointing to various churches on sideroads. I knew more of these had to exist. November 22, 2015. A church once stood here. I like the fact that someone went to the trouble to put this up. It looks like it was done privately and it was important for someone. Alberta has a few interesting place names. Hairy Hill got its name from the large amount of buffalo hair found on the hills in the area. 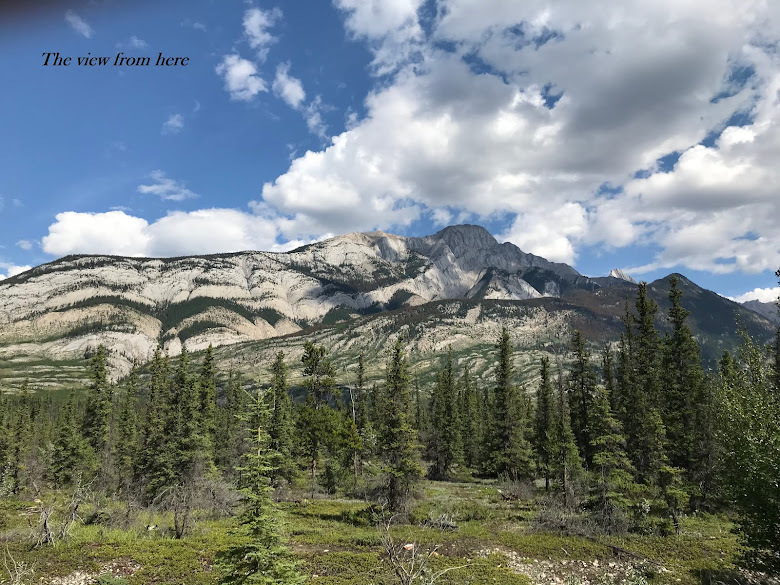 I was in Hairy Hill after leaving Wostok, Alberta. Both places were on the same rail line that has long been abandoned. If this is not the smallest Post Office in Western Canada it has to be a serious contender. A business that was involved in agriculture. Main street. Prairie towns usually have really wide main streets. I have never found out exactly why but they are usually twice as wide. All of the buildings shown are empty. In the foreground are empty lots that once had something on them. As I was driving through a moving van was packing up a house. Some, not many, people live here. It is moving towards ghost town status. Right beside Highway 53 east of Donalda, Alberta. Almost impossible to miss. At their peak there were about five thousand one room schools in Alberta. A lot of them ceased to exist when they were consolidated from smaller to larger areas. One big reason is that roads and transportation got a lot better. Few schools exist as some were converted to community halls, some were turned into granaries, and some were repurposed as housing or storage by farmers. Note the Union Jack and the Red Ensign, once Canada's flag before being replaced. I took a peek inside. Thee is some graffiti and some minor vandalism. There is enough here that it could be restored. Years ago I lived and worked in Edmonton, Alberta. As an aside there is sort of a rivalry between Calgary and Edmonton, or there used to be, it kind of fell by the wayside. They are the two major population centres in Alberta. Edmonton is the capital and basically has the government offices. Calgary is the more entrepreneurial of the two. In my experience Edmonton has a bureaucratic feel to it, Calgary seems to feel more freewheeling. It was the middle of July and hot and not much was happening. I struck up a conversation with three people in their twenties who just moved to Edmonton from Singapore. They asked me how cold it gets in winter. I asked if they were used to using Celsius. They were, so I told them it can get to minus forty degrees Celsius in winter in Edmonton. I have been in colder weather, I do not miss it. Anyway, they did not believe me. I politely told them again that it can get that cold. So then they asked me what happened when it got that cold, they wanted to know if we shut down the city. I said no, we still go to work. This is Canada after all. Then they really did not believe me and they were convinced that I was lying to them. At this point I asked if they had moved here and this was going to be their home year round. They told me it was. So I informed them that in six months they would find out for themselves. You really cannot explain things to someone who is totally unfamiliar with the concept. Try to explain to someone that snow has different characteristics. You can have a wet heavy snowfall. You can have one with big white fluffy flakes. It can squeak when you walk on it. Mention this to someone who has never experienced snow and it can sound like you are weaving a fairy tale. Here in my part of Alberta winters are not all that bad. A chinook will frequently come through unwinding winter's presence. You can have a snowfall one week and no trace of winter the next week due to a chinook, and this is during the winter months. It can also play havoc with the temperatures. When I first moved here I thought I would never get acclimatized. Does it get that cold here? Yes it can and does. We Canadians do actually go to work in some absolutely brutal weather. We just do it without questioning it. Depending on where you live in Canada plugging in your vehicle is something we do. I usually never do it unless it drops to minus thirty degrees Celsius. I have had my vehicle parked at work where there were no outlets and started my vehicle during lunch and let it run to warm up and then shut it off so it would start when I left work. When I lived in the far northern part of British Columbia it was common to see mine workers not shut off vehicles and leave them running all night long. I once lived in Chilliwack, British Columbia for a year. Winter was mainly rain. Lots of rain. Even in the summer. There is a joke that people in British Columbia do not tan, they rust. I once lived in Cassiar, British Columbia and every winter we would get about twenty feet of snow. As kids we had some great snow forts. Regardless, sometimes you cannot explain this stuff to someone, sometimes they have to experience it to get what you are talking about. A lot of small towns in Alberta will usually have some kind of antique store. 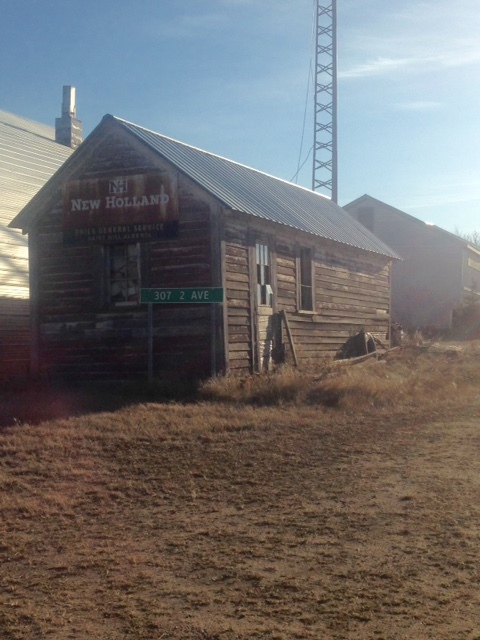 This one was in Calmar, Alberta and I happened to drop in on November 28, 2015. If I have the time and the mood strikes I will drop into places like this for no reason in particular. There were a number of various reproductions and some new stuff as well as some genuine antiques. This thing really caught my eye, an old coffee grinder. It was in excellent condition too. They wanted over four thousand for it. I really do not need it and I have no room for it. It is just one of those dumb things that I would like to have. You just do not see stuff like this anymore. I really like the look of this. The day started off very foggy and never got any better. I like the look that the fog gave to the day when it was not doing its best to obscure everything. Herronton was one of those numerous rail stops that lost their purpose over time. The grain elevator is on one side of the road beside a rail line. On the other side of the road is a business and a few houses. Six kilometres of gravel road off a secondary paved highway gets you here. This is about an hour south and east of Calgary. The grain elevator is owned by a farmer and is no longer used as a grain elevator. I have someone that I exchange emails with on an irregular basis and he filled me in on some information about it. It is currently used for storage. This rail marker is beside the rail line and right near the grain elevator. I thought the rail line through here was abandoned. It turns out it is sort of abandoned. Regular rail traffic does not run through here anymore, the line is sometimes used to park rail cars that are not in use. Someone here loves birdhouses and there were a few unique ones. This one stood out. This caught me by surprise. Over forty thousand page views. Thank you all. I used to have a Sunday morning ritual. I would get up somewhat early and I would buy the weekend editions of the Globe and Mail, the National Post (both are national newspapers), and the local Sunday paper. I would then go to my local coffee place, usually Tim Horton's, get the largest coffee they had with a doughnut or two. Then I would work my way through all of the papers. The two national papers gave me different perspectives on national events and the local paper filled me in on other stuff. Just me alone with my thoughts. Once I was done I would usually see if there were any seniors and ask if they wanted the papers when I was done. If not I left them on the table for whoever else might want them. This kind of reminds me of a true story I once read about two friends in Scotland that had known each other for years. Their ritual was one of them would go visit the other and they would go into the library. They would read for a couple of hours and not talk to each other. At the end of the visit one would thank the other for having him over and that he had a great time. I have not done this for years. The internet has not killed newspapers yet. It definitely has ruined the experience. I wake up, I reach for my Ipad, and I have instant access to the news. Newspapers have got thinner, less interesting, and overpriced. I no longer have the incentive to go out and buy a paper. I no longer have the incentive to go and grab a coffee either, coffee places ceased being coffee places. They are now about the experience or selling you a meal. Now if I want a coffee I usually grab it while I am on my way to something else. There used to be an art to relaxing on a Sunday morning. Years ago when I did this I got an inquiry from my then father-in-law asking what I did on Sunday mornings. I told him. I could tell he was angling for attention and an invite. I think he must have thought I was sneaking off and indulging in secret adventures known only to myself. So I told him that if he wanted to join me he was welcome however I just drank coffee, did not talk to people, and silently read my papers. That was my ritual. One morning he showed up. The entire time I did what I usually did. A few days later I heard from someone that he was offended that I ignored him. I was unsympathetic. If you are invited to something and someone tells you what to expect then do not complain if it is not to your liking. Personally I thought it was a perfectly acceptable guy activity. He never bothered to join me again and I spent many more Sundays reading the news my way. Some people just do not respect the ritual. One of the interesting things about a touch of winter for me is that I find it gives a touch of definition to the landscape. With just the right amount of snow things stand out a little more and are just a little more exposed. I am a bit of a private person and I would have liked to get an up close and personal look at this abandoned truck. I do not like to step on someone's property without permission. I took this right at the barbed wire fence. I just might hit forty thousand page views before Christmas. If you have some time and do enough mindless searching you hopefully find something on the internet that may lead you to something else. Someone or some group posted this nice little map of where there once was one room schools and some cemetery sites. I knew of a couple of sites in the area simply by randomly stumbling across them. This area is about an hour from where I live and bears further investigation now that I know where some of this is located. These days it is rural and not a lot out there. It should be fun. Millbank School 1921 to ? This is just a little west of Tomahawk, Alberta. My mother grew up in Tomahawk. Her father had the local garage and service station there. It was torn down about forty years ago. A gas station and convenience store occupies the space now. This school sits on Millbank Road. From the thin information my quick research provided it started as a school in 1921 and I could not find when it ceased being one. It did get used for various gatherings in the area. I attended a couple of social events here when my age was in the single digits. 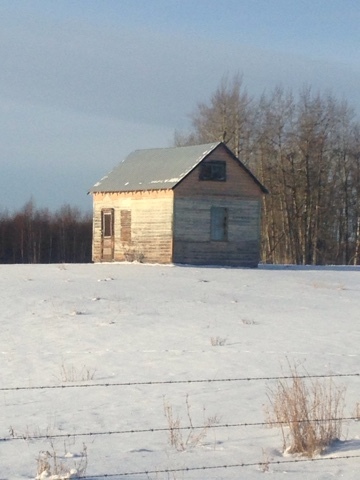 The odd thing is that this is one of the few Alberta schools without a historic marker. I am trying to find out why. The building is in poor shape. I think my cousin on my mother's side of the family owns the land this is on but I am not sure. You can see the outline of a rectangle on the front. It sticks in my mind that there used to be a sign that said "Millbank School". That is the problem with memory, it is imperfect. There are times when you wish memory was like something you could play back in high definition. Time obscures things.